Chief Engineer, Peter Eggimann, has been designing and developing specialized custom electronics for over 45 years. Let’s face it, with that kind of experience in electronics design available to you, why go elsewhere? Whatever your electronic needs, Peter has very likely already designed or improved on a similar design in the past. Peter is known by his customers for his ability to produce very efficient designs “on paper” as well as being able to translate those custom designs into efficient manufacturing processes to give customers the best pricing possible. EPD® utilizes the latest technology in computer design for small and large transformers and inductors. We have utilized the same custom electronic design software since 1993 with outstanding results. Designed and supported by Rale Engineering in Switzerland, we receive ongoing updates reflecting the latest in technology. As a long term customer, we frequently work with Rale engineers to improve on software capabilities for the needs of the electronics design industry. The software supports IEC standards, UL standards, CSA standards, VDE standards and SEV standards. The Rale software allows us the freedom to design from 10Hz to 500KHz and from 1VA to 250KVA without changing programs. This software drastically reduces design time, eliminates errors and gives the opportunity to simulate various operating conditions and observe how the transformer will behave under those conditions. The software provides data on the electrical, magnetic and thermal properties, AND the efficiency rating of the unit with no extra effort on the designers part. 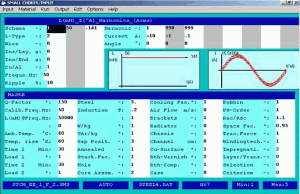 Over 17 years of building electronic components and testing electronic units designed with this software has proven that the information is highly accurate and very reliable. This technology enables EPD® to build and deliver units quickly and eliminates the need for expensive prototypes, thus saving both EPD® and our customers unnecessary development expenses. If you already have an electronics design and want to see what savings EPD® can show you, please contact us for a manufacturing quote. If you don’t yet have your design, but just a set of requirements, let us show you how EPD® can meet your needs quickly, efficiently and cost effectively!